I get it. Your business is in its infancy / planning stage, and you're not ready to invest thousands into hiring a Social Media Agency or a team who can help you manage your social media presence. Managing platform(s) on your own can definitely be difficult to manage ... you've got to plan your content, snap photos, design visuals, schedule your postings and possibly even manage ad buying. That's a whole lot of work right there - and on top of business development and operations, many bootstrap entrepreneurs find it tricky to juggle. 1. SocialPilot - Social Media Content Management. The first step to having a successful long-term social media presence is to get down to the basics: implementing an efficient system to manage your content. If you're only on Facebook, you can make do with your Pages Manager, but if you have more than one platform (e.g. Twitter, Pinterest), uploading different content on different platforms can be quite a hassle. However, the system does lack Community Engagement features so you'd still have to manually handle fan replies on each social platform. Apart from this, SocialPilot only has a 'reminder' feature for Instagram and does not have Instagram scheduling just yet. Apart from SocialPilot, you can also use Buffer's free plan - but Buffer only allows 10x scheduled posts per profile, while SocialPilot allows 10x post sharings per day and up to 30x posts in the scheduling queue. Hootsuite - one of the most popular ones - also has a free plan, but you may want to read this post for the pros and cons of Hootsuite before deciding to go on board. If you're managing your own page, sometimes the most difficult aspect is visual creation. Apart from photographing your own images, where can you get free stock photos? How do you then edit these photos? 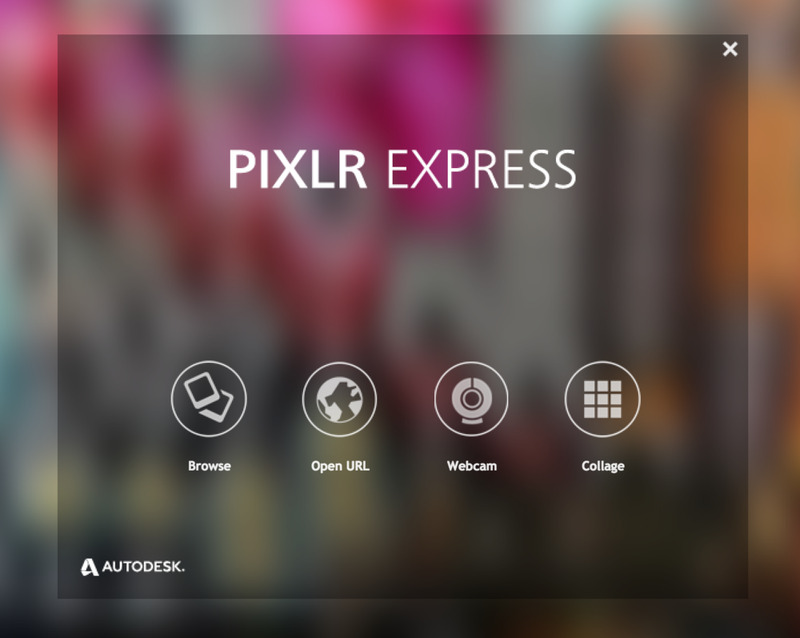 For simple visual editing, I've found Pixlr's web app to be pretty good - especially if you're in a rush, or if you're not adept at Photoshop or Adobe Illustrator. Back in the day, I'd swear by Pixlr's Collage editor as it's a really easy way to create collages. It saves a lot of time when you want to create simple collages for your postings. 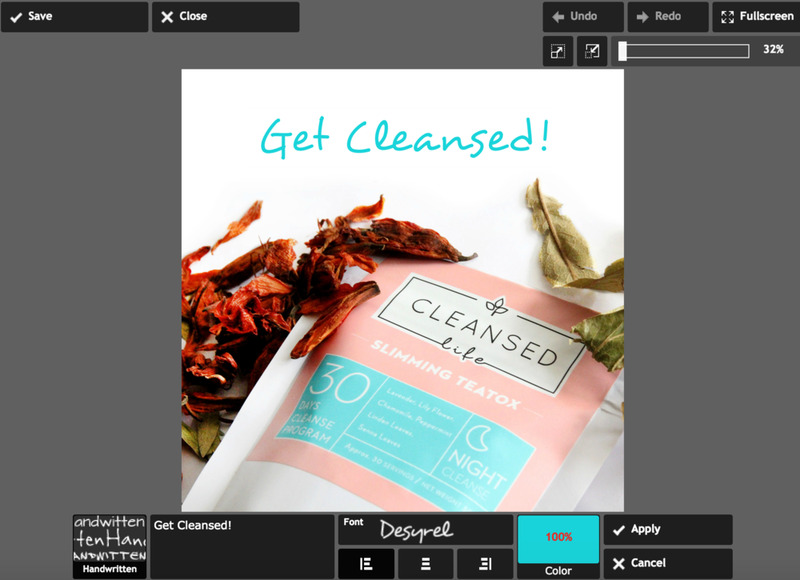 You can also use their photo editor to edit your photos if you wish to make simple edits - such as cropping, including texts, borders, and some minor edits such as brightness, contrast, saturation etc. If you don't have the resources to conduct a photoshoot or photograph your own images, you can also use the free stock photos from PicJumbo (one of my favourites due to its user-friendly search / categorisation features) or Unsplash. 3. Competitor / Own Page Analysis - Social Analytics. Ever wondered how your competitors are performing on Social Media? Yep, being aware of your competitor's every move and step is a plus for all social media marketers. 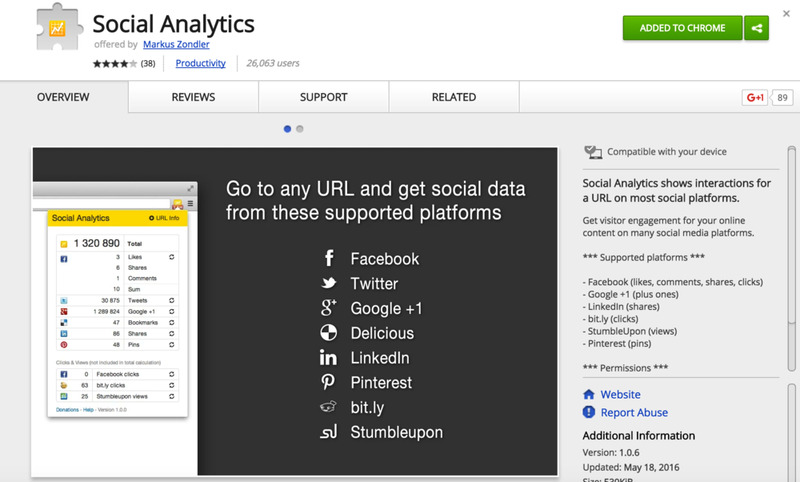 ;) Social Analytics, a plugin for Google Chrome is a really user-friendly Chrome extension that allows you to check Social Share stats on any page you visit. This helps you understand what content on your site is capturing attention, and also allows you to get an idea of your competitor and influencer's current standing on social media. For example, if you have an online store and if one of your competitor's product is getting a good amount of social media attention, you can then understand their Target Audiences a little more - or even decide for yourself if you should stock up similar items on your eCommerce store. Understanding what content works for you also helps you plan and optimise content for your site. Visuals are an important element of your social media strategy, and here's a fun fact: Infographics are Liked and shared on social media 3x more than any other type of content. Easel.ly is a free tool to allow you to easily create your own infographics, fact sheets, checklists or even simple fun facts. 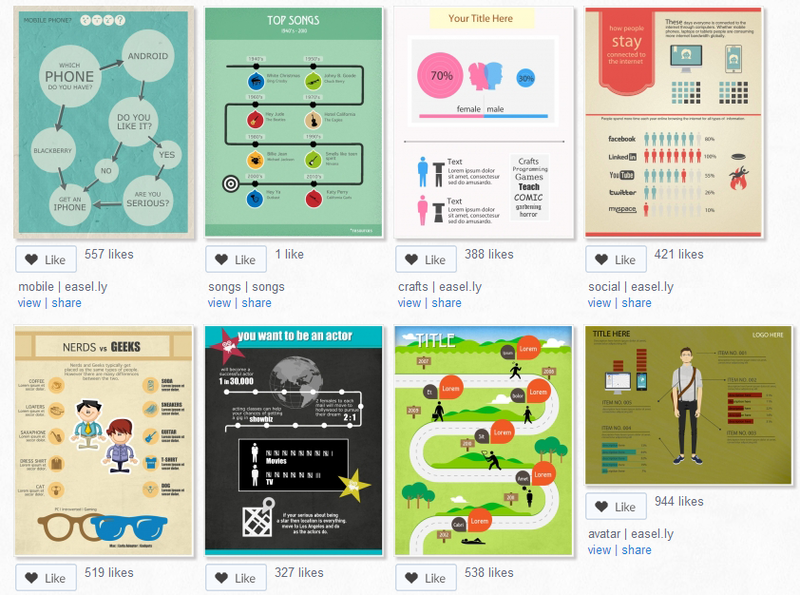 Example of infographics created via Easel.ly. I found Easel.ly relatively easy to use and get the hang of, although you'd have to pay to unlock their full library of images and icons. For simple infographics, the free version should be more than enough. Once you're done, you can easily export your infographic as an image or PDF file, which you can then share with your social media followers.